Here’s the scene: The checkout line at an Albertsons supermarket in Gresham, Oregon. Four people are present—a cashier, and three shoppers. The woman checking out realizes as her total is rung up that she’s unable to pay for all of her groceries with her WIC benefits (food assistance for low-income women and children). The kind shopper behind her, Jacki Carroll, offers to pay the $12 the woman needs to check out. And that’s where the situation goes off the rails. According to this Facebook post written by Carroll’s daughter, who was also in line with her, the cashier stopped her mother from covering the woman’s $12 deficit. Not that it matters what type of food the woman was purchasing, but the Facebook post indicates it was wholesome stuff like fruits and veggies. The daughter writes that the cashier said: “She got her free stuff from WIC already, she doesn’t need anybody else paying her way” and “Well, that’s what ‘they’ do, they keep on having kids and getting handouts.” She then repeatedly told Carroll she couldn’t help out with the woman’s bill. Look, whatever this cashier’s (outdated/reductive/judgmental) views on government assistance are, who is she to stop a stranger’s random act of kindness? There’s a small silver lining to the confrontation: Carroll’s daughter has started an online fundraiser asking for donations to the National WIC Association, which provides support and education to WIC directors. The incident comes on the heels of a national debate over food assistance, thanks to House Republicans’ efforts to tighten work restrictions for assistance recipients through the Farm Bill. (The bill was ultimately defeated.) 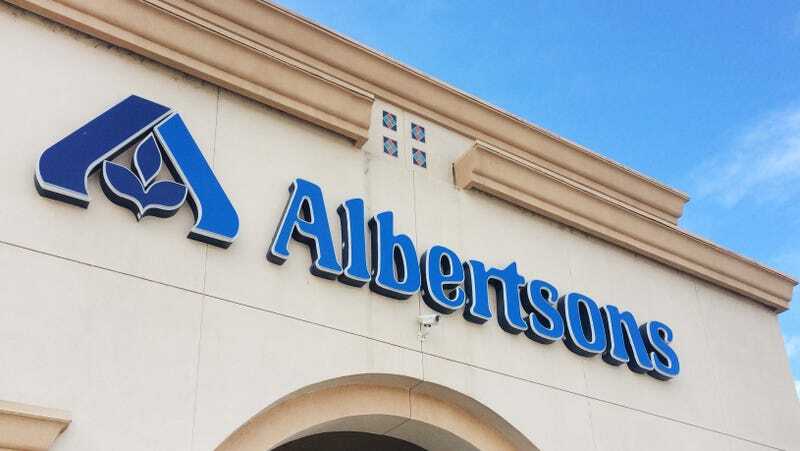 For those unfamiliar with WIC, the program relevant to the Albertsons incident, it’s a government program that provides food assistance to low-income women who are pregnant or have children under the age of 5 who are deemed to be at nutritional risk. According to government statistics, WIC serves 53 percent of all American infants.